Toeroek has worked with EPA Region 6 to develop and implement a comprehensive records management and tracking system that ensures efficient and accurate processing of records, prevents release of privileged documents, and allows EPA to efficiently access and locate information and respond to Administrative Record and FOIA requests promptly. We coordinate with internal EPA personnel to ensure that that all relevant information that is required to be entered into EPA databases are collected. We scan, index, and upload records into EPA’s databases. We efficiently handle large data transfers and have developed utilities and processes to expedite the transfer, collection, and organization of information from EPA personnel to our records center staff. Toeroek has a proven track record of working within Region 6 and has been on the cutting edge of suggesting process enhancements and delivering efficiencies through streamlined workflows, throughput improvements, automation of record management processes and time-consuming manual tasks, and documentation of complex processes for other EPA regions. Additionally, we have been able to apply our understanding of EPA programs to provide value to our EPA records management clients. 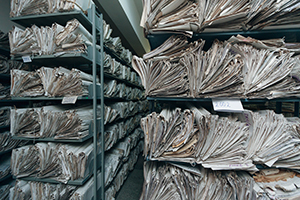 We understand how the implementation of records management impacts EPA’s program missions, and that EPA needs accurate and complete document collections in order to not only make informed decisions but also defend those decisions. For this litigation support assignment, Toeroek designed, constructed, and administered a litigation support data management system. A large collection of records were collected during the course of this assignment, including 1,350 boxes and 50 CD-ROMs of records that were submitted in response to 104(e) Information Request Letters, EPA staff files, including emails, video tapes, depositions and court documents, and the site’s Administrative Record. Toeroek collected, indexed, scanned, and managed over 3 million pages of documents for this project. We developed a system that used a combination of Microsoft Access and Concordance databases that enabled EPA and DOJ to retrieve, compile, and produce case evidence and information with ease. Toeroek installed the database system to a dedicated litigation support server at EPA’s office. Toeroek worked closely with EPA and DOJ case staff in designing the system, determining workflow and operating procedures, and establishing security and user access requirements. Toeroek created user guides and documentation of the database application and system, and provided numerous training sessions so that EPA and DOJ users could take advantage of the full capabilities of the system. Extensive QA/QC and chain of custody tracking was performed to avoid duplication, ensure accuracy, and maintain the integrity of the documents. 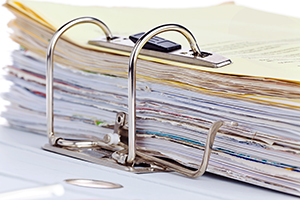 Toeroek is experienced with handling and processing contaminated documents. We managed and implemented numerous projects that require us to digitize contaminated documents located on hazardous waste sites. Our staff is HAZWOPER trained and certified, and we are experienced at evaluating the contamination, developing Health and Safety Plans, and performing on-site collection, extraction, digitizing, and storage of contaminated documents. Formerly the James River Paper site, this 75-acre abandoned facility is located along the Delaware River in New Jersey. 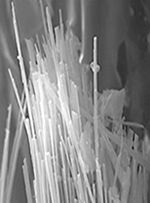 Contaminants include asbestos, mold, poisonous, corrosive and combustible materials. Working in Level C PPE, Toeroek scanned thousands of pages of documents onsite making important site information available and useful to EPA in their evaluation of potential enforcement actions. Toeroek scanned millions of pages of asbestos-contaminated documents collected from the operator of the Libby Asbestos site. In the winter of 2015, Toeroek staff traveled to an abandoned metals facility in Michigan to collect documents that were located in multiple rooms across the facility. Many documents were sprawled across floor and frozen together. Working with EPA in adverse weather conditions, Toeroek staff quickly mobilized, efficiently identified relevant documents, organized and packaged the documents into over 120 boxes, and delivered the boxes to offsite storage. The documents will be digitized and imported into a searchable database. The Administrative Record (AR) consists of documents that justify EPA’s decision for a response action at a Superfund site. These collections are made available to the public for comments and to view EPA’s decision. 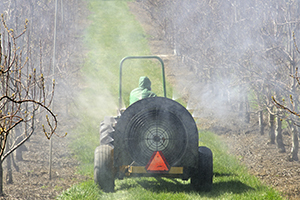 Toeroek has supported multiple EPA regions in their efforts to classify, process, and distribute ARs. We provide AR technical assistance to EPA staff, including training and AR document collection consultation. Toeroek also supports EPA and DOJ in certifying ARs for court submittal during litigation. For a Superfund site in Colorado, Toeroek coordinated a large number of changes to over 70,000 AR designations and 5,000 privileged designations within a three month time period, enabling EPA to certify the AR before the deadline set by the Court. Toeroek obtained the site file index from the Superfund Records Center, imported it into a database that was used by both the EPA and DOJ site team, trained EPA attorneys and paralegals on how to use the system to review and identify groups of documents, coordinated with other EPA contractors in obtaining additional documents to supplement the AR, performed a privilege review on over 5,000 documents, and created a privilege log substantiating the EPA and DOJ privilege determinations. AR training to EPA Region staff resulting in time and cost savings. 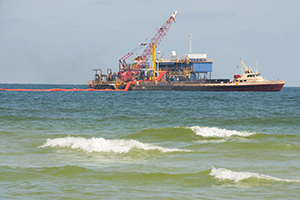 Toeroek collaborated with EPA in developing a process to retrieve documents related to the BP Oil Spill in the Gulf of Mexico electronically through EPA’s agency wide email software. Toeroek used a tool that harvested the emails with attachments in large batches while maintaining the integrity and relationship of these records. We converted batches of e-mails into PDF packages which contained a collection of all of the documents. We then ran the Litigation E-Discovery tool (v2.0) against the packages, which would analyze each e-mail, collect relevant metadata, and convert any supported attachments into PDF and automatically assign record numbers. In all, approximately 175,000 records were harvested with the page count reaching the millions. We created a guidance manual outlining the process by which the documents were collected electronically through the standard process for making them available in EPA’s records system. We have been able to efficiently code and process these records into EPA’s records system, enabling EPA to be responsive to FOIA requests. To date, we have supported EPA respond to approximately 20 FOIA requests relating to the Spill. 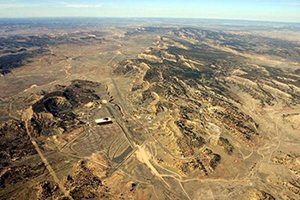 Located approximately four miles southeast of Deadwood, South Dakota, Gilt Edge is a former 258-acre open pit, cyanide heap-leach gold mine site that was designated as a National Priorities List (NPL) site in December 2000. Over 450 boxes of site-related files and reports were archived by former operators of the site at various locations around the country. Toeroek arranged to have the boxes shipped to its office in installments for review. The contents were reviewed to identify information regarding companies that operated at the site during the 1960s to 1990s. Toeroek indexed the information and had the pertinent files scanned with Optical Character Recognition (OCR). Toeroek imported the scanned images and OCR data into databases so the collection could be searched by keywords. Toeroek also created document lists, which the EPA Attorneys used to identify and tag relevant documents. Tags within the databases were created to help EPA quickly access document collections by topic. 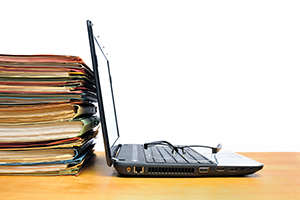 Toeroek’s standard practice is to digitize information and documents so that it can be searched and reviewed more quickly. Under a FIFRA work assignment, Toeroek obtained a collection of over 5,000 documents on multiple CDs. Toeroek imported these documents into databases that enabled the user to search across text of the documents. Based on FIFRA instructions, Toeroek searched the database and quickly identified a collection of potentially relevant documents. These documents were indexed and packaged in an Access database with an easy to use interface that enabled FIFRA staff to filter, sort and view the identified documents by various categories. The Access database also contained fields for notes and comments. The database system saved FIFRA significant time in identifying the documents relevant to the subject case and helped facilitate a multi-million dollar settlement for the EPA. 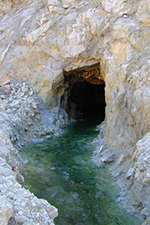 At the Navajo Uranium Mine Site, Toeroek traveled to the Navajo Nation to review thousands of documents. Due to the location of the documents, Toeroek prepared a Health and Safety Plan to ensure staff safety during the collection. After reviewing a multitude of banker’s boxes of archived records, Toeroek obtained approximately 1,600 documents. In order to manage the documents collected, Toeroek imported the documents into a database, in which the documents can be searched for relevant information. Imported documents were also assigned a unique identifying number, and fields specific to the project were set up within the database to house vital document information (e.g., source, confidentiality, date, etc.). Currently, Toeroek houses approximately 39,740 records in this database. Toeroek also uses a complex Access database to house research findings. This database cites all findings contained within it using the documents’ unique identifying number. With this complementary database system, Toeroek has been able to provide EPA with a fast and efficient way to search documents and prior findings necessary to further case investigation. Toeroek has provided extensive Freedom Of Information Act support to our EPA clients, particularly in Regions 6 and 9. In Region 6, we assisted EPA in completing hundreds of responses to FOIA requests since 2011. In Region 9, we assist both the Superfund and RCRA Division staff in responding to FOIA requests in a timely and expedient manner. 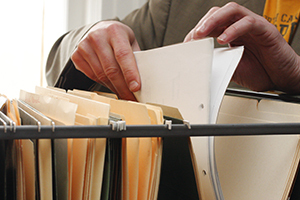 FOIAs are increasingly being used by litigants in an attempt to gain access to information not normally available through the course of legal discovery channels. We are successfully coordinating FOIA responses between these parties in the EPA Regions where we perform FOIA work. We also are knowledgeable of the Superfund process including file structure and the multiple phase activities that a site can require and are familiar with common obstacles that may arise and prevent an accurate and timely response. Our improvements to the FOIA review process have resulted in significant time and cost savings.